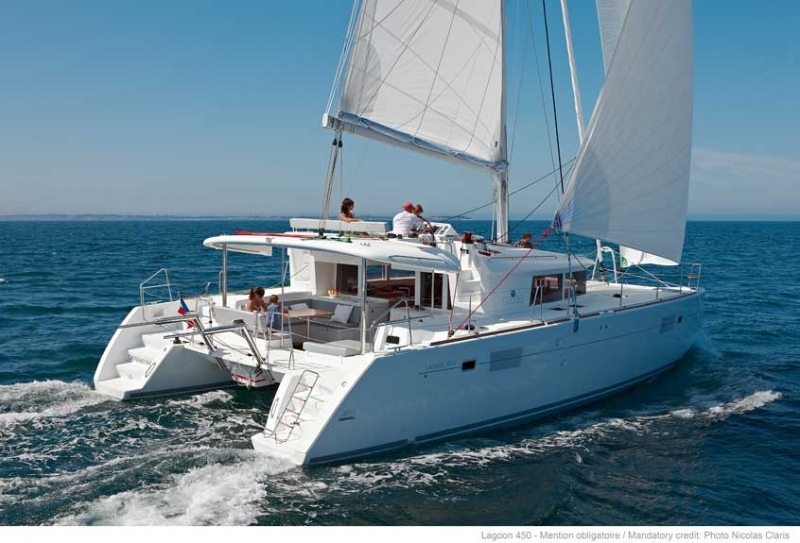 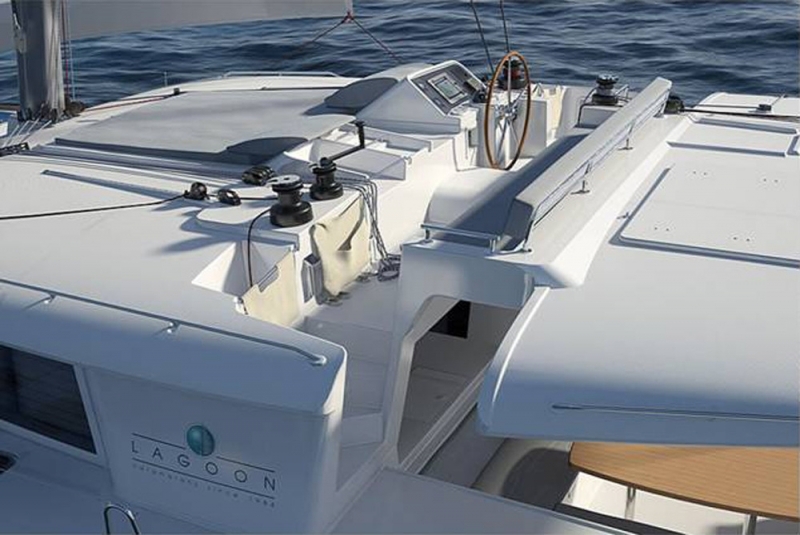 Sailing catamaran model "Lagoon 450" is a newbuild manufactured in 2016 in France. 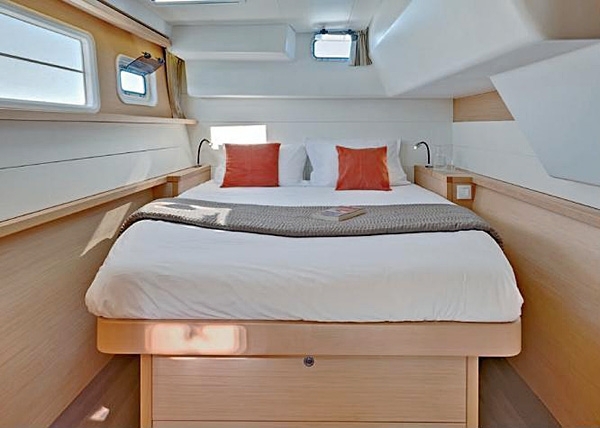 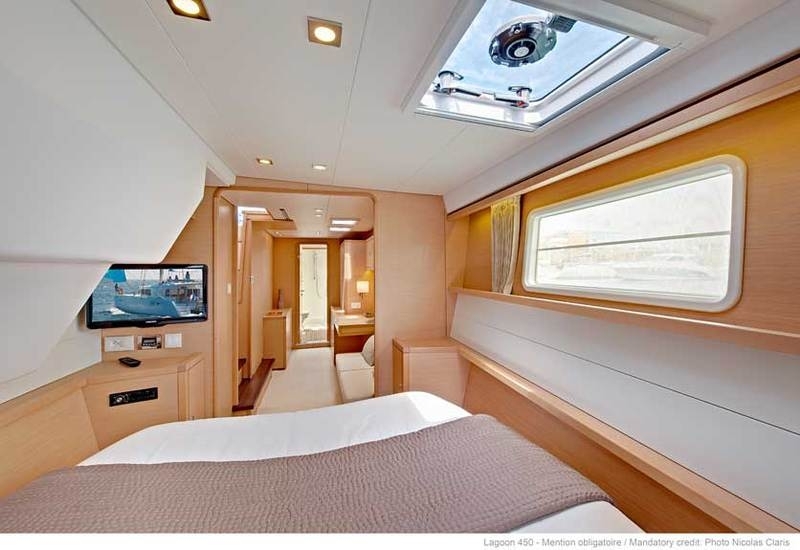 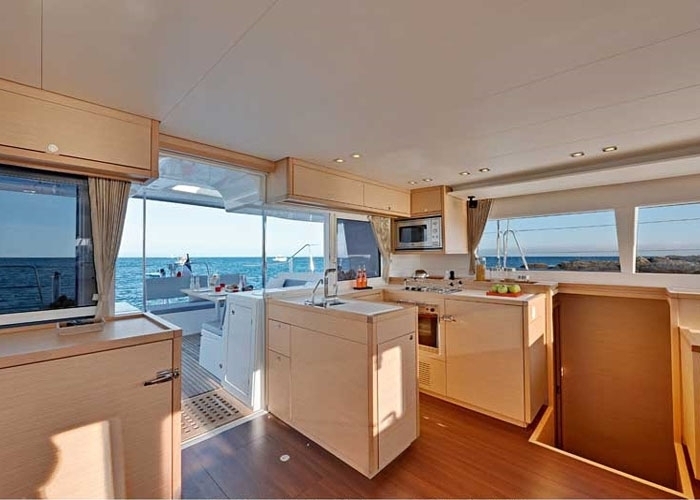 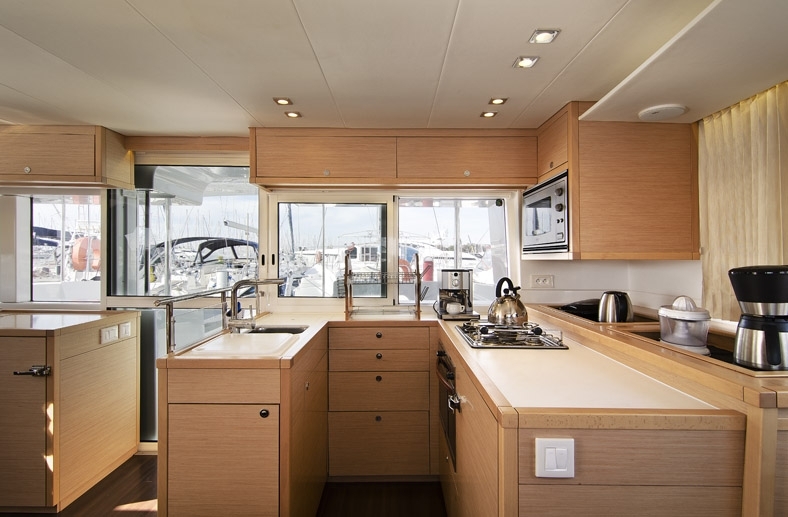 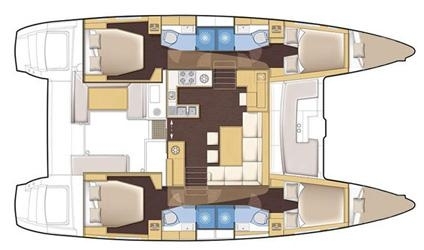 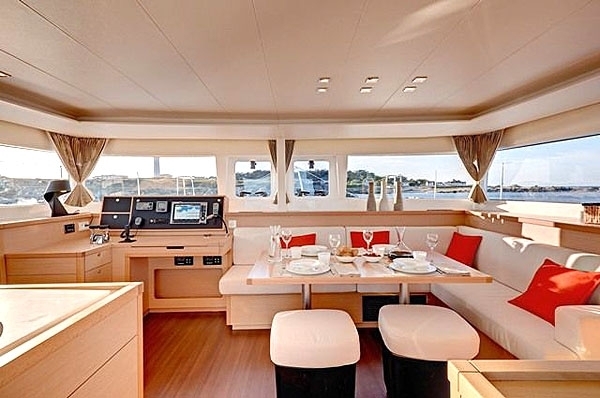 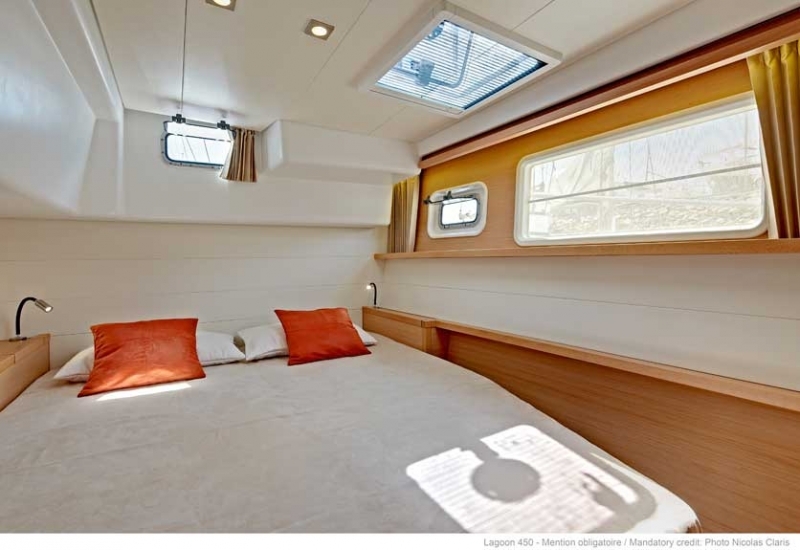 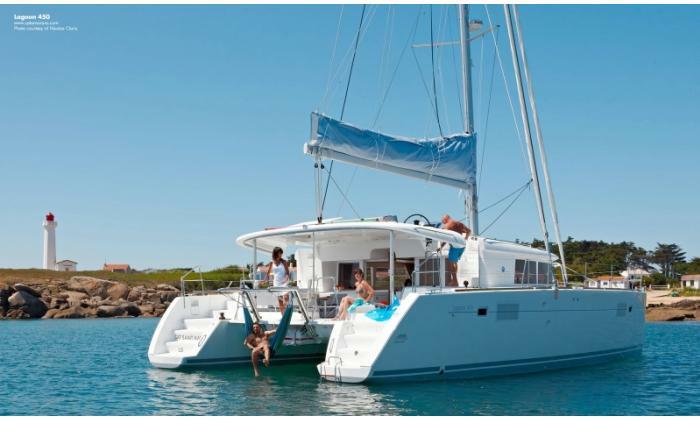 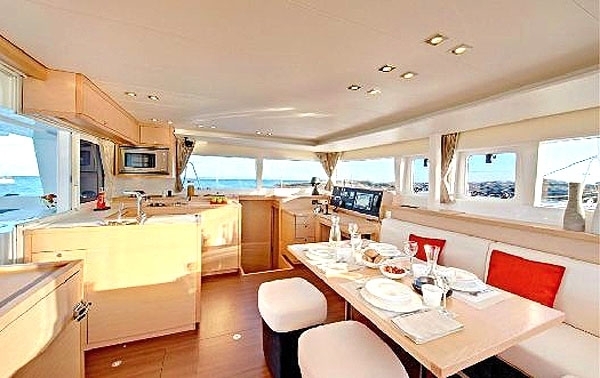 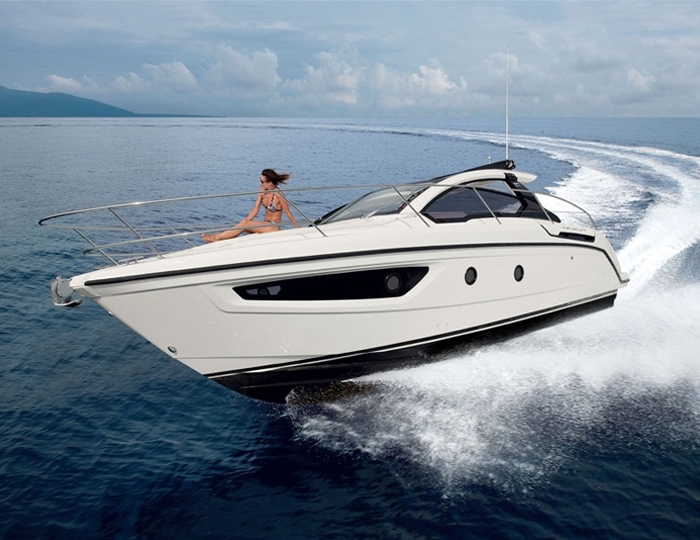 With luxury sleeping accommodation for eight passengers thanks to its four spacious and comfortable cabins and four bathrooms this catamaran allows you to have the experience you've always dreamed. 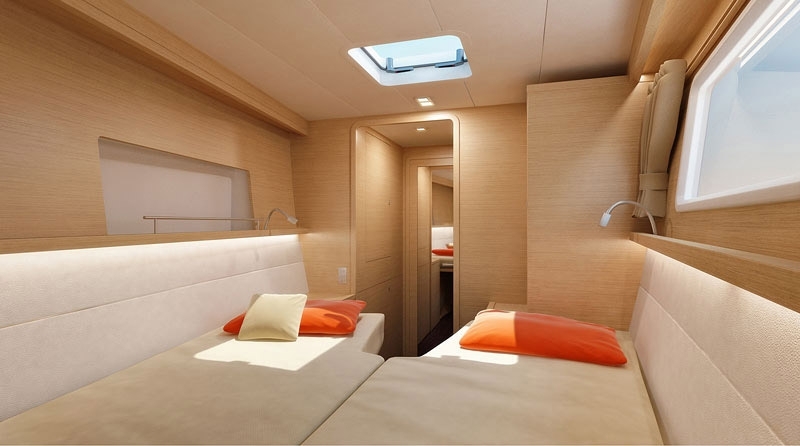 You will also be amazed at the large open spaces outside from the sleeping quarters. 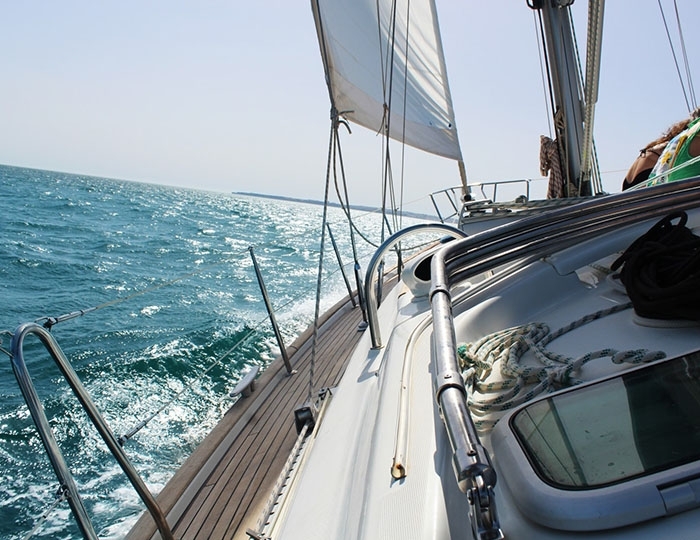 Literally the view of them is 360º and enables continually amazed by the environment and to feel part from her. 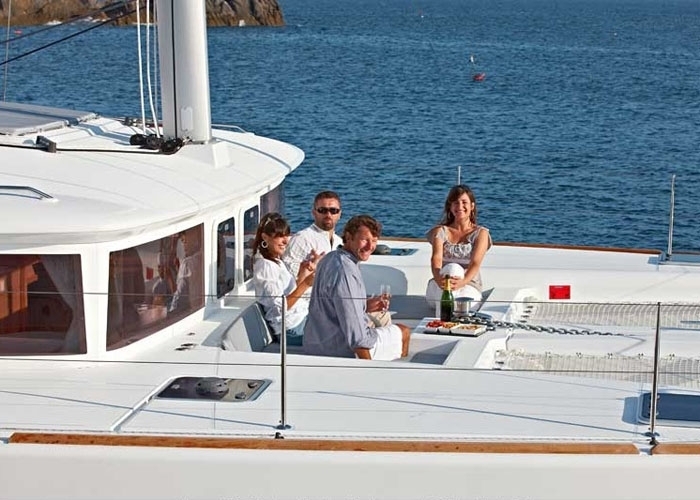 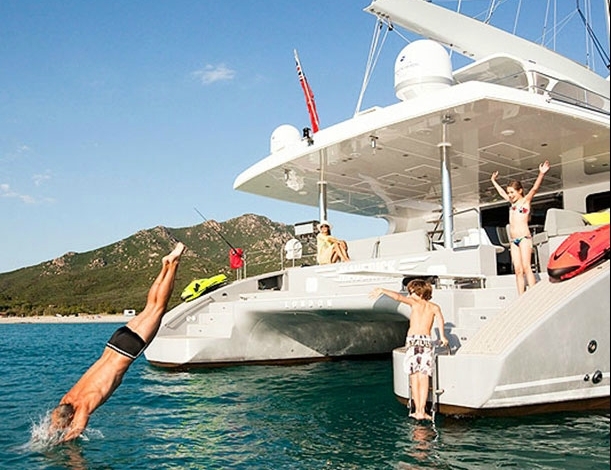 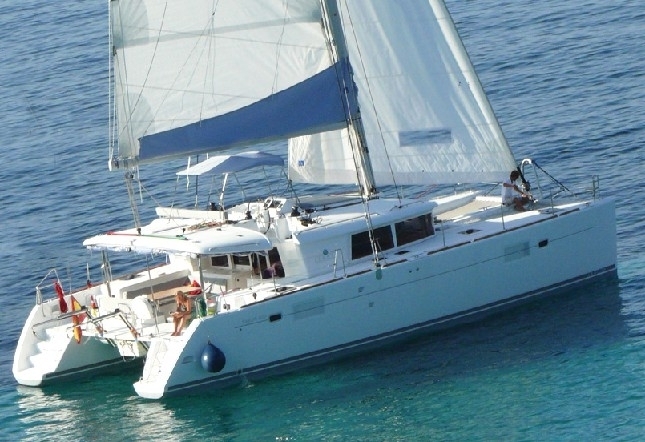 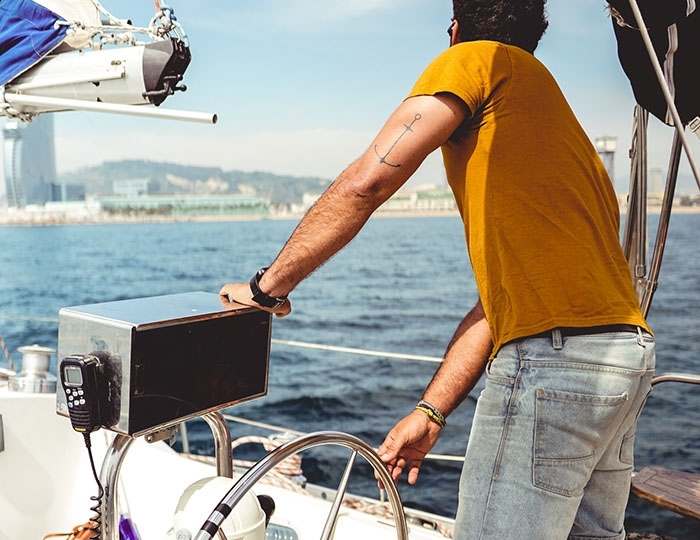 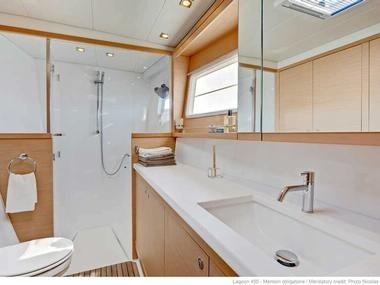 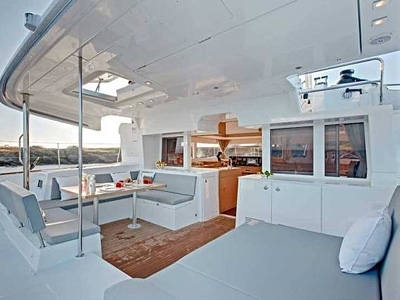 Moored in the waters of yacht port Lavrio, Athens, Greece, this catamaran is very suitable for one or two-weeks luxury charter around the most famous Cyclades Islands.